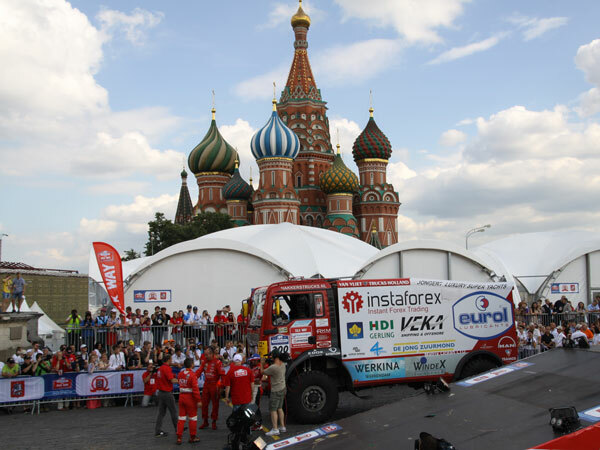 2013 Silk Way Rally: Welcome to Russia! The 5th edition of the Silk Way will be held from the 6th to 13th of July 2013. The rally will start from the Red Square in Moscow. Entirely run through the Russian Federation, and for the 5th consecutive year, the Silk Way rally has established itself as a major event in the sport. Today, the Silk Way Rally is the second largest rally-raid in the world with more than 100 entries in the car category and more than 30 in the truck class. Carlos Sainz, Jean Louis Schlesser, Nasser Al Attiyah, Giniel de Villiers and Stephane Peterhansel have all competed in this international competition. A press conference will be held in Moscow on 28 February, finish place and further information will be provided. 6/07 to 13/07: 7 days of competition, 3000 km of special stage.